Heavy snow in the Alps, Dolomites and Pacific NW! - Huge snowfalls forecast for the Alps, Dolomites and Pacific Northwest. - Gstaad ends ski season on 31st March. - 40cm of snowfall for Scotland on Wednesday morning. - Snowfall in Australia, two months before 2019 season is due to start there. It's snowing in the Alps and the snowfall is forecast to get heavier in many areas through the rest of this week, meaning that some places may get as much as a metre of snow on their higher slopes by the weekend, and many should get 30-60cm of fresh cover. The snow isn't just falling in the Alps either, it started to fall earlier in the Pyrenees, although the snowfall is less intense here, and the Dolomites are due to see some of their biggest snowfalls since last autumn. It's snowing up in Scandinavia and Scotland too - a real return to winter almost everywhere. Of course, this fresh snow is arriving rather late in the season. Some smaller, lower altitude ski areas, including Gstaad, closed last Sunday and a larger number will end their seasons next Sunday. And whilst fresh snow is almost always welcome it's not really needed to see out the season even for those staying open to Easter or even later into spring, as most resorts are sitting on fairly healthy base depths anyway. The snowfall is expected to put up avalanche danger levels (which had been down at the lowest 1 or 2 during the benign conditions of the past week) to 3 (considerable) or even 4 or 5 (the highest levels) where the snow is heaviest. Over the Atlantic, smaller and lower ski areas began closing last weekend and a swathe more will join them this coming weekend or next. There have been moderate snowfalls here in quite a few areas, the biggest (up to 90cm) in the past week in the Rockies, particularly in Utah, at the weekend. The Pacific Northwest, including Whistler, is expecting some huge snowfalls through this week too, much like the Alps. Heavy snow is falling now across quite a wide area of the Swiss Alps, northern French Alps and the Dolomites; with some huge falls expected in some locations. Snow (and temperatures) will ease into the weekend, but Avalanche Risk Levels are expected to be at their highest at times so, as always, take local advice before leaving the piste! We're a little sceptical of the amounts forecast... but as we can't find a webcam not currently obscured by heavy falling snow, we'll give them the benefit of the doubt for now! Re-publication :- our Snow Report Summary, being the text above this line, is free to re-publish, but must be clearly credited to www.J2ski.com with text including "J2Ski Snow Report" linked to this page - thank you. The snowfall that arrived in the Western Alps on Tuesday began falling in Austria on Wednesday after a mostly dry and sunny week there. The snow is expected to be at its heaviest on Thursday and Friday before easing off over the weekend. Most of the country's ski areas are forecast to receive 30cm (1 ft) or so of fresh snowfall by Saturday, some as much as 60cm and a few as high as 90cm. Resorts in this latter category include Obergurgl and Solden in the Otztal region. A few dozen Austrian areas did close for the season already last Sunday and quite a large chunk more will do so on the 7th and 14th so they should at least end their seasons on a snowy note. For the more snow-sure areas open to Easter or into May and beyond the additional snow will be a great boost to already good base depths. The snow started falling in France on Monday, again after a mostly dry, sunny week, with ski areas in the country's Massif Central (Besse Super Besse and Le Mont Dore) reporting the biggest snowfalls on Wednesday morning (around 15cm) with resorts like Avoriaz and Chamonix in the northern Alps posting 10cm accumulations. The snowfall continued on Wednesday but Thursday is the big day for snow across France with around 30cm (a foot) expected in many areas by Friday morning. The biggest accumulations are actually forecast for the southern Alps with Alpe d'Heuz and Les Deux Alpes as well as nearby Valloire and la Grave in line to receive up to 90cm (three feet) of snowfall which would certainly transform the recent spring-like conditions there. Italy looks like it will see some of its biggest snowfalls of the season over the next 48 hours, the irony that the snow is arriving just as resorts prepare to end their seasons not lost on those that haven't had much of the fresh stuff this winter – not that there are too many of those. Like the rest of the Alps, it had been a dry and mostly sunny week until Tuesday when the clouds rolled in and the snow started falling with Alagna in Piemonte posting the biggest 24-hour accumulation (20cm) and Livigno in Lombardy reporting 12cm. But if the forecasts prove correct (which they're more likely to be now the snow has started falling and they're only looking a short way ahead) this is the tip of the snowy iceberg right across the country, with big falls of a metre (or more) of snow forecast from Cervinia in the North East to the Dolomites in the northwest, and much of the mountains in between. Swiss slopes also enjoyed a sunny, clear week until Tuesday (for most areas) when the clouds rolled in and the snow started to fall. 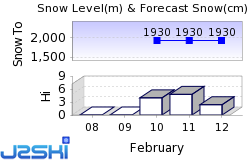 Brigels in the Graubunden canton posted the first accumulation of note with 15cm by Wednesday morning. But as with the other big four Alpine nations, this looks like the start of much bigger things to come with ski areas across the country likely to get at least 30cm accumulations here too. Those forecast to receive much more over Thursday and Friday include the two that already have Switzerland's and the world's deepest bases; Engelberg with 6.3 metres and Andermatt with 6 metres. They're likely to see about 60 and 90cm more respectively if forecasts prove correct. Plenty of fresh snow this week in Scandinavia with some of the biggest falls reported in Western Norway at coastal resorts like Voss and Northern Sweden up at Bjorlkiden and Riksgransen in the Arctic Circle. 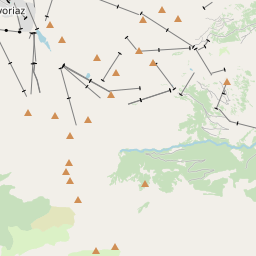 The latter is reporting a 4-metre base, the deepest in the region at present. Conditions are reported to be good too up in Finland where the weather has been sunnier with less fresh snow, but cold enough to maintain snow quality. Whilst the snow has been falling for 24 hours or so in the alps it has been going since the weekend in the Pyrenees, albeit with generally fairly light snow showers. They're due to continue on and off through to at least the weekend. Snow falling so far has amounted to 10-20cm on the slopes of Andorra with Grandvalira (Pas De La Casa, Soldeu) reporting almost all of its terrain still open but fairly honestly describing conditions below 1800m in altitude as 'slush' but higher runs as 'powder'. As with the Alps, it's a rapidly evolving picture in Scotland, but here the stakes are rather higher with the question of whether areas are open for Easter or not. At the time of writing Glencoe and Nevis range had about a dozen trails open between them with some good conditions on the slopes after 10cm of fresh snow on Tuesday. Cairngorm, Glenshee and The Lecht were closed (Other than a small beginner area at The Lecht using Snow Factory all-weather snowmaking) but Cairngorm reported 40cm of snow overnight on Wednesday and was assessing whether they could start to re-open terrain. Bulgaria's ski season is drawing to a close with most of the country's ski area closing this weekend. Published base depths have dropped significantly at several areas, meaning Bansko, which will stay open to Easter, is now posting the country's deepest upper slope depth at 1.8 metres (six feet). It's looking like a snowy end to the season at several areas, particularly at Bansko, which is forecast to have received 50cm of fresh snow by the end of the week, the heaviest snowfall likely on Saturday. It has been a fairly quiet week on Canadian slopes with little fresh snowfall and generally benign weather conditions. These have varied considerably however from temperatures nearing 20C in southern Ontario, where most resorts closed last weekend, to a return to sub-zero temps and snow in Toronto a few days later. Currently there's a lot of snow falling and still forecast in the Pacific Northwest (essentially BC) where forecast models project up to a metre of snow could fall on coastal ski areas like Whistler with the snowfall continuing inland to bring around 50cm of snow to resorts in central and eastern BC including Big White. The US has also had a 'quieter' week for snowfall than the last, although that's not to say there weren't some significant fresh accumulations, particularly in Utah over the weekend where up to a metre was reported (the most at Alta), and more recently smaller falls in California and Colorado. Some smaller ski areas have closed down for the season already and some of the big names including Crested Butte and Jackson Hole are due to end their seasons this Sunday too, despite having deep bases and fresh snow cover, it's just how it has always been there. There's little fresh snow in the forecast, just small to moderate falls in the West that may add up to 20cm more by this time next week on slopes in Colorado, California and Montana, 40cm up at Alyeska in Alaska. Ski Hire Shops in Obergurgl-Hochgurgl, Sölden and Avoriaz. Avoriaz 9 - 16 March...room share?